TruckCerts.com gets a face lift! 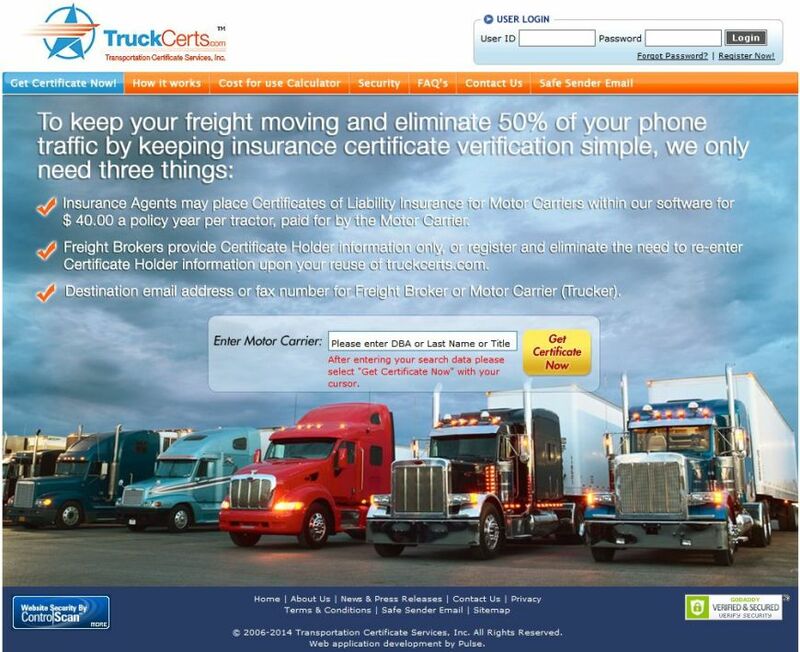 www.truckcerts.com is a revolutionary service that makes managing commercial truck insurance certification a whole lot easier using the power of internet. Certificates being faxes causing hours of lost time is a thing of the past. 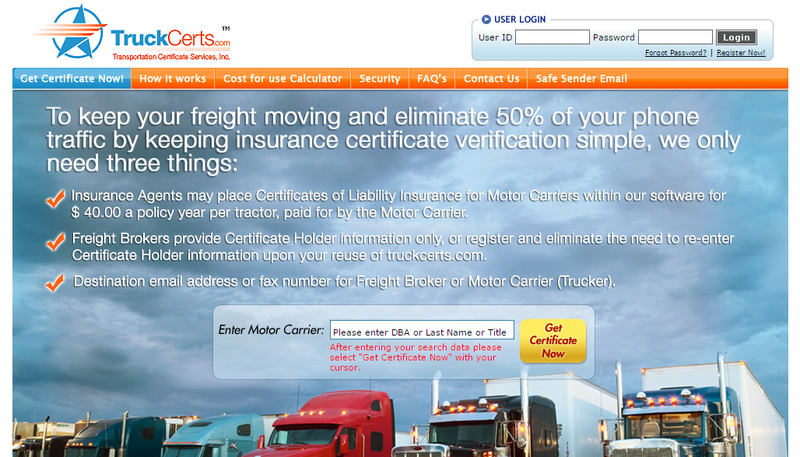 Truck Certs improves efficiency at the same time reducing the cost of the operation for Insurance agents and Freight brokers alike. Pulse Solutions built the original website in 2007, we were contracted to give the website a Web 2.0 touch and that&rsquo;s just what we did! The new website is a lot more intuitive, fast and makes the message clearer than ever before. Using Flash, Ajax and several advanced technologies, Pulse team has improved upon the original design to create a masterpiece that matches with the latest Web 2.0 standards and looks very pretty at the same time. Looking for a Vacation deal ? Try BestBidVacationRentals.com! Sombrero.com - Horseback Trail rides booked online!